It’s exciting and a little bit scary when picking up your new kitten, which is exactly what a friend of mine is doing in a few weeks time. As a long term cat owner and happy mum to four fur babbies, I am now called “Niccy, resident cat expert” and have been barraged with questions about what you do, what to expect and what to buy. There are so many things to buy, you could spend hundreds, but here are some of my recommendations. Using Amazon often means quick delivery and you can read the reviews too, making it easier to decide if you need them all straight away and whether others think it’s a good buy. I have also added other retailers where I have seen an offer or think the product is worthy of a mention. Felines love to climb, and be high up so that they can observe their surroundings while feeling safe. Here are some exciting trees, just remember s/he won’t be a kitten forever, so consider if the cat tree is just for a kitten or a cat could fit too. Reading reviews, they only last 2 – 3 years at best. 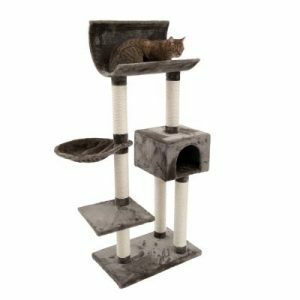 Ikaros Cat Tree – this is the one she is buying – see image – discounted from £79.99 to £49.99 for now so act fast to save at Zooplus. Soft, cosy beds are a must, especially as cats spend a lot of time snoozing. When you see kittens they love snuggling together so if you only have one cat, think about the plush home. Some cats like to hide away, so an igloo is a nice alternative. If you’re not with the cat all the time, these are useful. 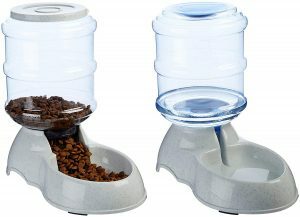 My friend has also done some research, and as her budget is limited, she is going to get these: Amazon basics food and water dispensers . She won’t be leaving dried food in the dispenser for free grazing but measure some out every day and feed wet food too. However, if she’s away, she’ll fill more in the dispenser. She’s also getting a metal bowl for wet food. Don’t even think about not using flea protection. They will get in your clothes, furniture and more if you don’t treat your cat. This is what I use. 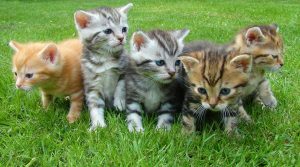 Crush one tablet up in some butter or Webbox lick-e-lix, which you can get from most supermarkets and also Amazon in bundles, means your kitten is far more likely to eat the tablet. I give my four one tablet every Saturday to ensure that any unhatched fleas that were not caught the previous Saturday are taken care of the following Saturday. Getting into a weekly routine means your kitten won’t be bothered by itchy fleas. Cats need to eat and are especially insistent about being treated regularly. My friend is going to use Go-Cat to start with as that’s what the kitten is eating at the moment, but this is what my four like. I sometimes have to buy the bargain or basic if I’ve overspent that month, but these are loved by my cats. And, to ensure my four fur babies don’t get used to only one type of food, which can be a disaster if you’re unable to get that type for whatever reason, I alternate the brands so they are eating different types and flavours regularly, which means they stay open to trying new brands as and when I pick those up. All-natural high end – Country Hunter dry and wet food is really all natural and such a treat. No chemicals, additives or preservatives that are often found in over processed pet foods are used here. This raw cat food and gently steamed cat pouches are made with naturally wholesome ingredients and prime real meat pieces that even the fussiest of cats will love. Probably the most icky part of having a cat, but I know my friend will try her best to not have her cat pooing in other people’s gardens. Here are some alternatives. She’s going for the Omega Paw one. Self cleaning on a budget. 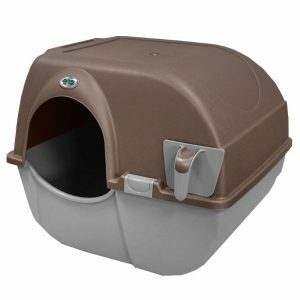 If you want robotic ones, you’re looking at £100+, so this is a compromise – Omega Paw self cleaning litter – comes in regular and large, but before you buy it look around at other retailers Petplanet and Zooplus will often have offers on! 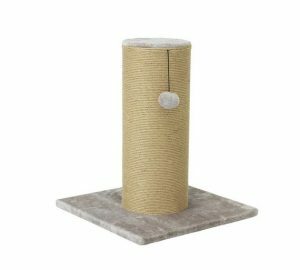 If you want high-quality, contemporary cat climbing frames for use both inside and outside the home, Catipilla offers some great products. These are particularly handy for anyone in an upstairs flat that has an outdoors kitten! Cats need stimulation and these are my moggies’ favourite toys. If you don’t have a big budget, head to Poundland, they do Da Bird type toys and packs of three mice/bird type toys too. The Poundshop is also useful if you can’t get to a Poundland. 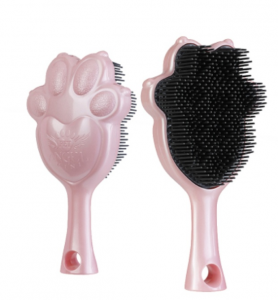 Cats shed, so giving them a comb regularly will keep their coats in better condition. Here’s what I recommend. It may be safer to just remove your vases if they are super precious to you, but museum putty is a good alternative. It’s like bluetack and should withstand some kitty bashing.